Inside Out Disgust karatasi la kupamba ukuta. Inside Out. 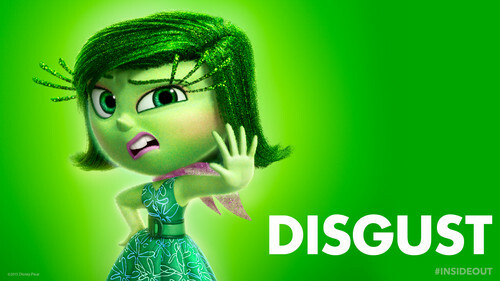 HD Wallpaper and background images in the Disney club tagged: photo inside out disgust disney pixar 2015 animated film. This Disney wallpaper contains picha, headshot, and closeup. There might also be bouquet, corsage, posy, and nosegay.